A birth defect inherited through you parents that causes irregularly shaped and unhealthy blood cells that stops cells to get enough adequate oxygen through out the body. 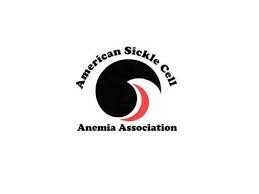 "Sickle Cell Anemia." Causes. 1998. Web. 13 Oct. 2015. 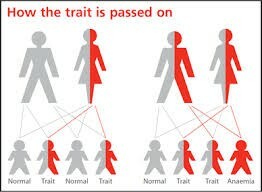 <http://www.mayoclinic.org/diseases-conditions/sickle-cell-anemia/basics/causes/con-20019348>. 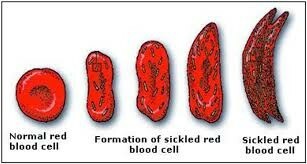 "What Is Sickle Cell Disease?" - NHLBI, NIH. 12 June 2015. Web. 13 Oct. 2015. <http://www.nhlbi.nih.gov/health/health-topics/topics/sca>.